I have been getting a number of inquiries lately about cosmetics that have “natural” or “organic” based ingredients, so I am sharing my opinions on this subject based upon my own research, observations, and professional experience. Over the past decade I have watched the rise in popularity of cosmetics advertised as natural/organic, especially with mineral based makeup products. What I find interesting is that consumer demand for these products is driven lar gely by health fears based on mis-information and mixed with a lot of confusion. 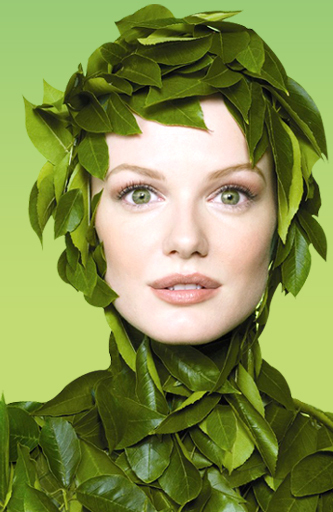 The lack of solid case studies or proven performance statistics regarding natural/organic ingredients leaves this business wide open for cosmetic company advertising campaigns that capitalize greatly on the undefined nature and perplexity of the subject. It’s also their opportunity to take advantage of the situation to create a position of authority merely through carefully worded advertising. Many leading dermatologists agree that there are very few long term clinical studies or data available on the vast majority of cosmetic ingredients, let alone natural/organic substances used in cosmetics. Most of the research has been based on the efficacy of vitamin compounds as topical agents, such as Vitamins A, C, and E used in skin care. For instance, the use of Vitamin A (retinol) in prescription and over the counter skin care is well studied and documented with over 60 years of clinical use. Vitamin C, a powerful antioxidant, has been proven in university research trials over the last 20 years to have a banquet of positive effects on skin, as does Vitamin E for i ts healing properties. There is no scientific data published or government (FDA) research to support that natural organic derived elements are safer or even better for skin than inorganic/synthetic ingredients. In fact, many natural organic substances can cause potential toxic harm to skin, especially to those who have skin disorders, allergies, chronic inflammation or irritation. People with these issues cannot use many natural organic ingredients in cosmetic topicals because they can trigger painful flare-ups. Quite simply, an irritant substance is an irritant substance regardless of it being natural organic or synthetically derived. The skin does not know, nor can it tell the difference between organic or synthetic elements, but it does react to any contact sensitivity caused by these ingredients. There are no federalized industry standards or regulations for the use of the words “natural” or “organic” in the cosmetics industry. 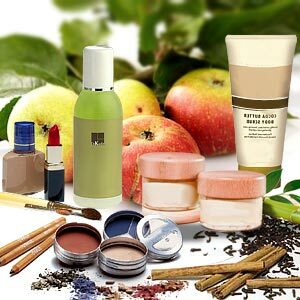 There are still no published FDA-approved standards for labeling cosmetics as natural organic, nor does the cosmetics industry collectively agree on a specific standardized definition. These two words have simply become strong buzz terms born from marketing strategies created solely by cosmetics companies, and have morphed consumer ideology into a thought process based upon unsubstantiated and sometimes outright false claims. Thus, “natural organic” has become advertising free-for-all bait that leaves the customer with little or no science to decide the truth of the matter, or to make an informed purchase decision. Stay tuned for Part 2 of this discussion later this month. Couldn’t agree more with what you are saying here. I’ve fallen into the trap of buying something that was advertised as organic, only to find it was also full of toxic ingredients. Everything you wrote is true. I believe in living an organic, healthy lifestyle – this includes organic foods and non-toxic, eco-friendly, and PETA approved products – but it’s not as easy to go natural in the realm of cosmetics and skin care.